All human beings have three lives: public, private, and secret. So far the concern is one’s private or secret life; there are things that one might not wish to share with anyone. So, in today’s post, I am going to share how we can hide our private photos, videos, documents and other media on Android phones. Mobile phones provide great storage in the form of phone memory and SD card. We can save any type of media on it. But you may not want to leave particular stuff of yours open and visible to them who may check your phone randomly. Here are some of those amazing ways which can be followed for hiding your private date on an Android based Smartphone. The one way of hiding images and other media is by using Android’s default feature. For that you must have File Manager on your phone. If you do not have, you can download it from play store. 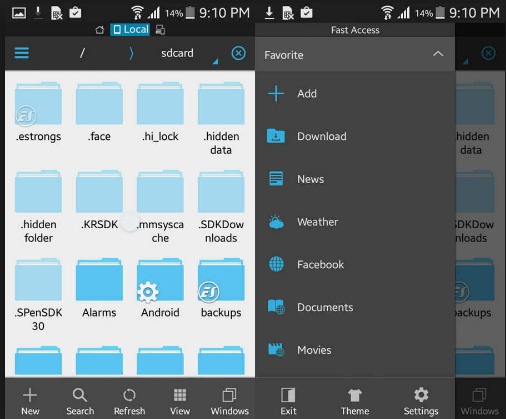 ES File Manager is one of the best file managers on play store with a high rating. So first you need to launch this app on your phone. Now how can you hide your data? Open ES file manger on your phone and create a new folder by selecting new option in the top right corner of your android phone. In the next step it will prompt you to select File or Folder. Select folder and name it. Add a “.” (Without double quotes) before the folder name, it gives the command to hide the data that you move into this folder from the main interface of your android phone. Now just select and move the intended images, videos, documents, PDFs and more into this folder. After moving data to this specific folder, when you look back into the gallery or the main interface, it will be no longer visible. Further it can be hidden from file manager. To hide it from file manager folders, go to the top left corner of your phone and here go to display setting under settings option. Unmark show hidden files. You can anytime hide or unhide it according to your requirement. Sometimes keeping your personal data out of sight is just not enough. Anyone with sound technology knowledge can reach your hidden folders in the file manager. Here in this case you may need to protect your personal media with security passwords. There are number of third party apps that you can use for this purpose. Keep safe is an app that locks images, videos, notes and other documents with a PIN. When you first open the app on your phone, it asks you to create a PIN. After you create a PIN, you can add images, albums, videos and cards and your ID info to the respective folders in keep safe app. Though the videos can only be added for premium version that is for 31 days. Once you add your private data to this app, it will be disappeared from the file manager. You can anytime export the added data from here back to the file manager. Another feature that provides you safe haven for storage is Fake PIN. It lets you create a fake PIN so that you can cleverly use it instead of your original PIN when someone asks you for your PIN. You can add stuff for showing it under Fake PIN. It also facilitates with the option of Safe Send which can be used to share the link of any image or file online and then this link will destruct itself in 20 seconds. This ability of Keep Safe is really worth for sharing anything privately. Data can also be directly shared to the apps like WhatsApp, Hike, and Gmail etc from keep safe app. You don’t need to export it for sharing with any other app. 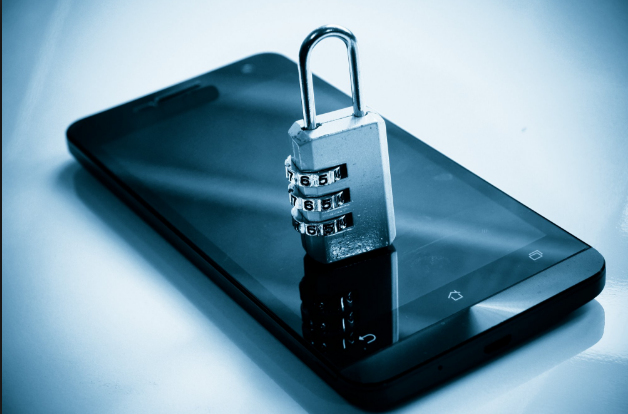 Keep Safe also provides an app called as App lock – Keep Safe that is efficient in locking the apps itself. So these are the methods that are well enough to protect your data from the unwanted.